PTPA Media has North America's largest volunteer parent testing community, with over 40,000 parents. Consumers looking for high-quality children's books, products and services can rest assured when they see the PTPA Winner's Seal; it's evidence of product excellence as evaluated by unbiased parent consumers. 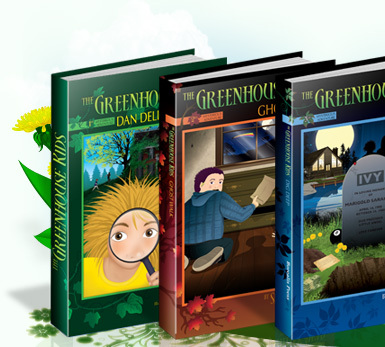 The Greenhouse Kids series of books was among many entries from across North America competing to earn the PTPA Seal of Approval. Because independent parent volunteers evaluate these books, products and services in their own homes, PTPA winners are chosen based on merit and consumer experience and not on commercial considerations. As a result, PTPA Media Seal has quickly gained recognition as an international leader in certifying consumer products for quality, effectiveness and value. Their CEO, Sharon Vinderine has appeared on over 40 morning shows, as well as the Rachel Ray show as a reliable source for the latest and greatest in family books and products. The media and parents alike trust the collective opinion that PTPA Media represents. Being honored with the influential PTPA Seal of Approval is a huge achievement. 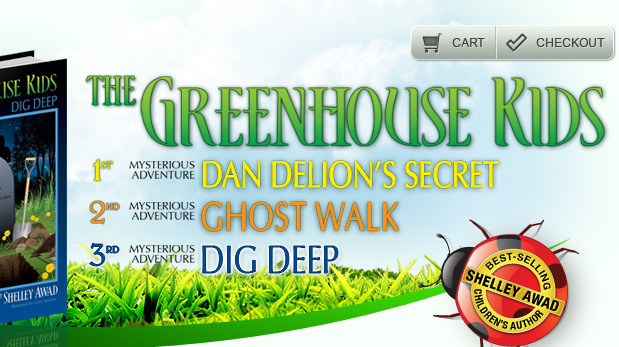 "I was pleased to hear that The Greenhouse Kids series of books were rated the very best, 5 out of 5 stars by the families who test-read the books," says Children's Author, Shelley Awad. "My daughter could identify with the characters and the situations. She read the book in 4 or 5 sittings." "It was definitely entertaining. My daughter says the story was funny and she really enjoyed the mystery/adventure of the story. She enjoyed learning about types of flowers." "My daughter would definitely recommend these books to her friends. She says they will learn about plants and also it is a fun story to read. These books would definitely be appropriate for school/classroom collections where more and more schools have an environmental/ecological focus or unit." "As the kids and myself took turns reading the books to each other, it was an exciting experience to see what happens next. I have 3 kids all at different levels of chapter book reading levels, so I wanted all of them to be able to enjoy together. We love the outdoors and animals, insects and Ontario." "Loved the size, small enough to take it along with us, but also well sized letters and good quality paper." "The kids LOVED it!!! We read it every night." "Well made books that allow you to bring along with you and the quality holds up well. Even better is that it engages the kids on thoughts that aren't about silly topics. There is a good idea in the books, a feel good thoughts for the kids at the end. Shows them the thought the author is trying to get across to the readers." "The book was very descriptive regarding the characters who resembled different flowers/plants. My 9 year old son liked that there was a bit of freakiness/scariness in the story (huanted house, gravestones). It taught him information regarding certain types of plants and flowers and vegetation. He liked that there were problems that were solved (ie bullying)." "My son said he would recommend it to his friends because it is "really cool". He liked learning about plants/flowers, etc. and loved the names of the characters and how they represented the characters (ie. Dan Delion)." "My son is 9 years old and he has had no problem reading these books. He said that there are no hard words and he was able to understand everything he read so far. He said that he thinks his friends would like these books as well because they are really interesting and fun."